Located in Bijagual, the waterfall known as Manantial de Agua Viva is an impressive site to hold. Cascading for more than 600 feet before crashing into a series of swimming holes. It is one of the tallest waterfalls in Costa Rica and a close rival to Diamante Falls found in Costa Ballena. To get to Catarata Manantial de Agua Viva, you need to drive 8 miles south of Tarcoles bridge and take a left towards Villas Lapas Hotel. Travel 3 miles up the dirt road and you will see a sign that says 'Cascada.' Park your car there and take the well marked trail uphill for about an hour and you will be rewarded with an awesome site and a cool swim. The waterfall is broken into 3 distinct sections with the tallest one being about 300 feet. 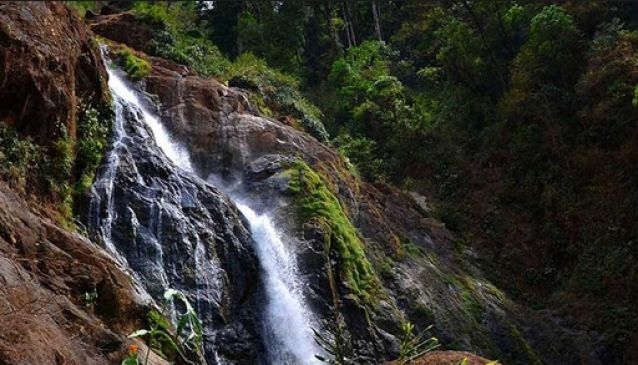 This waterfall is not well known by tourists so it is rare to find other people there.